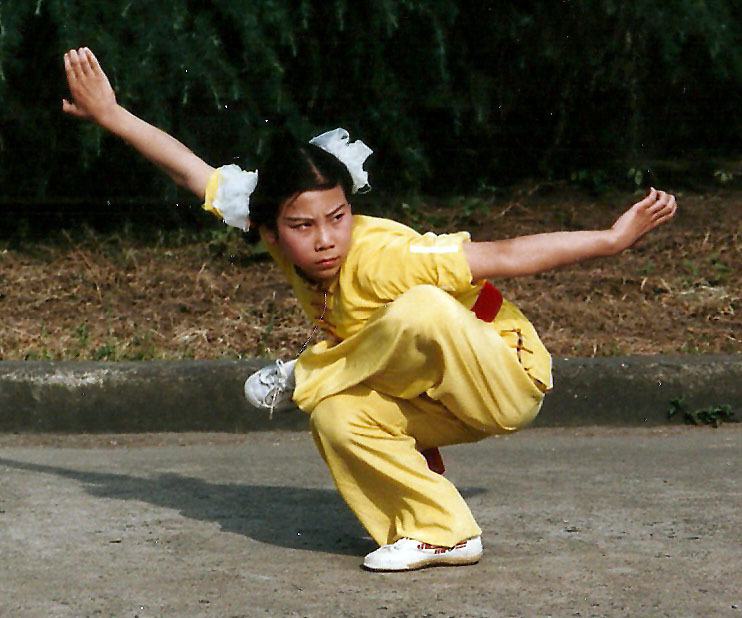 Competition Wushu is very versatile and promotes speed, fitness, flexibility, co-ordination and a sense of ‘realism’. Competition Wushu is the National Competition Martial Art Sport of China and, based on the numbers of people involved in Wushu in China alone, is probably one of the most popular sports in the world. Major Wushu players like Jet Li (former World Champion) have paved the way for Competition Wushu to be a must for the budding ‘stunt person’. There is a major emphasis on exhibitionistic movement and presentation for both empty hand and weapons sections, including many ‘stunt’ sparring sets. Students are taught in accordance with the IWF (International Wushu Federation) rules and regulations. Gradings are conducted using the International Competition Wushu marking methods.